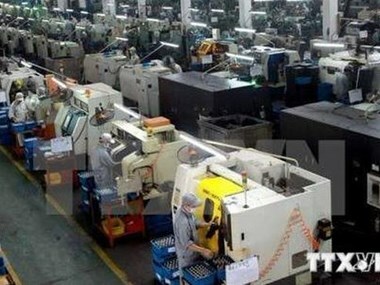 As construction of the Vietnam-Japan industrial park will begin in April, the city will hold meetings with Japanese firms in Hanoi, dialogues between local authorities and Japanese businesses and Can Tho-Japan trade culture exchange activities to entice Japanese investors. The centre will also push for the popularisation and investment in the Vietnam-Korea Incubator Park. National exhibitions will be held in the city, including a southern traditional cake festival, a trade fair on high-quality Vietnamese products, the international Vietbuild exhibition and an international agriculture trade fair. Last year, trade promotion activities helped the city lure investment and increase export revenue. Some 77 foreign direct investment projects worth US$656 million landed in the city in 2017. The city earned nearly US$1.8 billion from export and service revenue, 5.9% above its goal and 13.9% higher than the previous year. The centre organised 10 events and exhibitions in 2017, attracting the participation of 3,000 domestic and foreign booths.